Produktinformationen "SUPER PLUSH 600 Poliertuch Microfaser 60x40cm"
SUPER PLUSH 600 Microfiber Towel is designed specifically for wax and sealant removal. These affluent and softest plush pile makes and sealant residue and completely remove it from the paint surface better than the average microfiber towel. It has a soft touch that is extra gentle on sensitive clear coat finishes. Double sided plush... Try SUPER PLUSH 600 Microfibre Towel with any wax, polish or paint sealant. 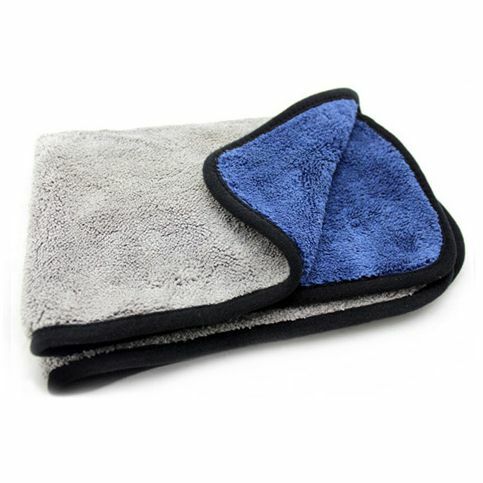 You will be amazed at how much easier it is to remove the residue versus conventional towels. The softest piles penetrate and absorb all particles to give a deep down shine without swirl. Weiterführende Links zu "SUPER PLUSH 600 Poliertuch Microfaser 60x40cm"
Kundenbewertungen für "SUPER PLUSH 600 Poliertuch Microfaser 60x40cm"